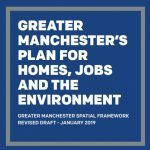 Manchester Friends of the Earth have submitted consultation responses to both the Stockport Local Plan and SEMMMS (South East Manchester Multi-Modal Strategy) Refresh consultations. 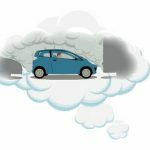 On 15th June 2017, we submitted this response to the Government’s plans for tackling nitrogen oxide pollution in our towns and cities. With thanks to Client Earth for their guidance on these issues and this particular consultation. Following the international climate agreement in Paris last December, the Manchester Climate Change Agency is consulting on an update to the city’s climate change strategy. Last year (2015) Transport for Greater Manchester (TfGM) consulted on their 2040 Vision for Transport in Greater Manchester. Manchester Friends of the Earth submitted a detailed response. Happy New Year! Just before Christmas, Manchester City Council announced the consultation on the draft City Centre Strategy (deadline 12th January). In August 2015, Manchester Friends of the Earth responsed to the planning application to build on Pomona Island. (Planning Application: 85822/FUL/15).